I couldn’t be more proud to represent AFS Technologies, Inc. as a Judge at this year’s IFDA Truck Driving Championships in Orlando, FL. 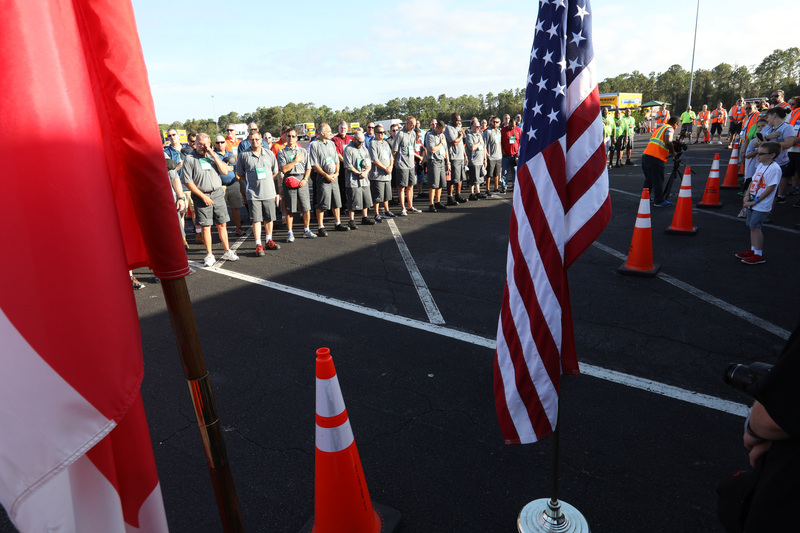 The event was in question as Hurricane Irma had recently left its mark on Central Florida, but the efforts of IFDA, the TDC Management Team and Disney all overcame the disaster to hold a great event! 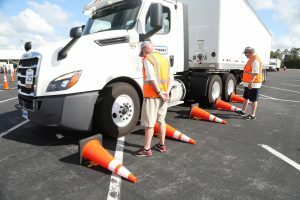 For those not familiar with the IFDA Truck Driving Championships event, it is the culmination of local distributor and regional events that ultimately lead to the Championship events promoting safety and driver accuracy. There are two sections to the Championship, written test and the practical test. 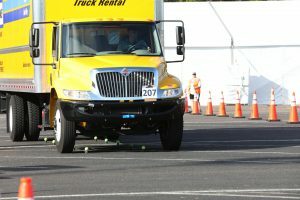 At the practical test course there were three categories: Straight Truck, 3-axle and 5-axle. From my initial perspective, the practical test didn’t look that hard. The five stages in the practical test started out with parallel parking, then to a left side curb approach, a u-turn, then a drive over a simulated grease pit and finally stopping accuracy. It quickly became obvious that I was not a CDL holder and a novice to the difficulties of the course. It tested many of the best drivers in North America and even they did not score at all in some of the obstacles. At the awards ceremony, Mark Allen, President of IFDA, asked the group how they felt about this year’s new obstacle, parallel parking. It was obvious from the groans that this was indeed very tough and a great new obstacle. IFDA was, as always, a gracious host with nearly all of the organization attending to cheer and support the drivers in their endeavor to be the best. AFS will continue to support our industry and can be found in booth #554/556 at the IFDA DSC conference at the National Harbor in October – see you there!